The Louisiana Real Estate Appraiser Board certifies, licenses and registers real estate appraisers to perform real estate appraisals. You must get the Trainee Real Property Appraiser License to obtain the experience hours that qualify you to take the test for the state certifications. 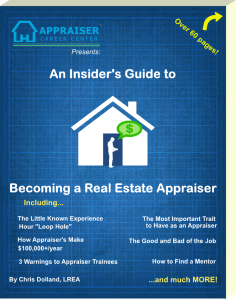 Louisiana has stricter requirements for becoming a real estate appraiser. They do not offer a licensed level. It is either certified or certified general. The experience hours required for certification is 1,000 more and for certified general it is 2,000 hours than the experience hours set forth by the Appraisal Qualifications Board (AQB). Education Requirements: 75 hours of qualifying education courses. Education Requirements: Bachelor’s degree or higher (in any field) from an accredited college or university; 200 hours of qualifying education courses are required. Education Requirements: Bachelor’s degree or higher (in any field) from an accredited college or university. ; 300 hours of qualifying education courses are required.